Line a baking sheet with parchment paper. 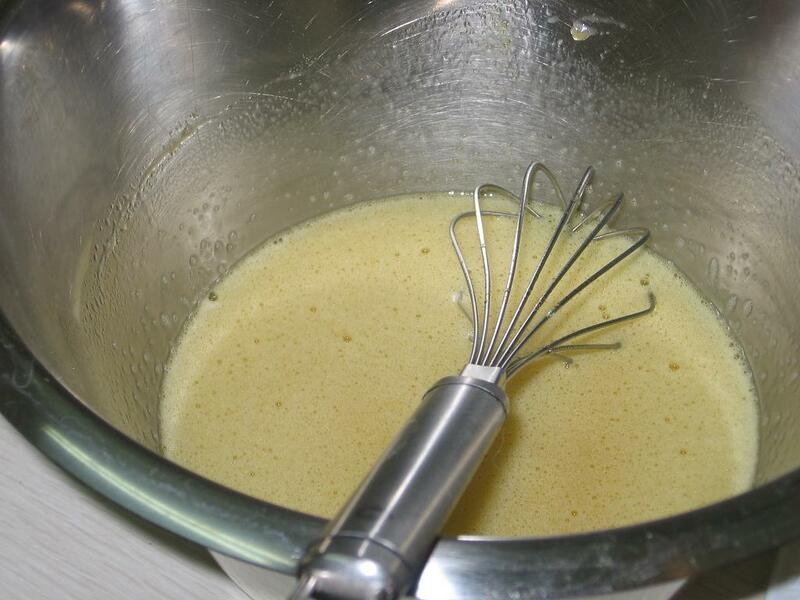 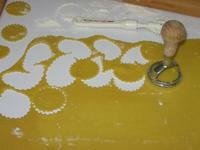 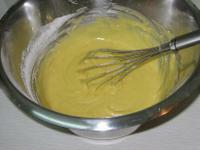 In a mixer, beat the eggs, oil and sugar until light and voluminous - about five minutes. Fold in flour, salt and baking powder. 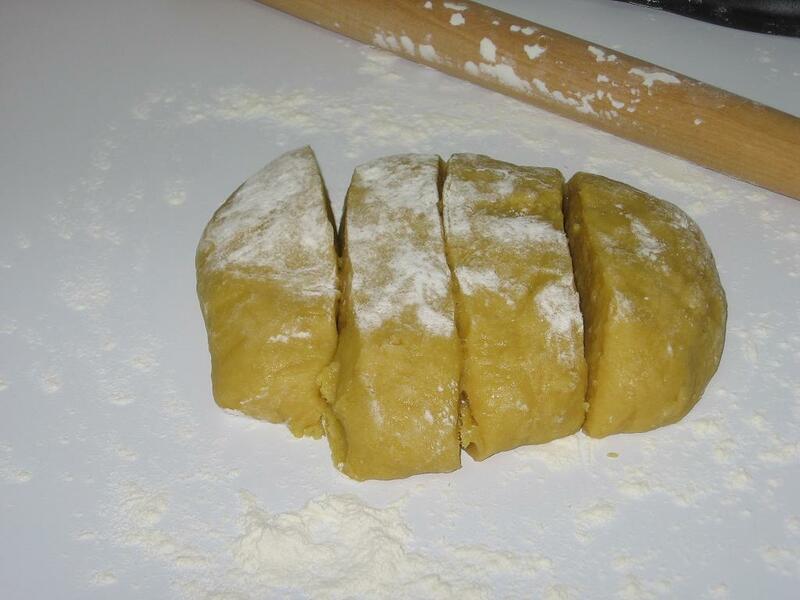 [Full recipe and Here ] Adding as little flour as possible, roll dough to a thickness of between 1/8 and 1/4 inch. Cut into circles, diamonds or squares. 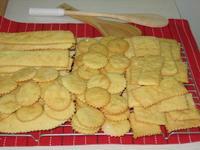 Transfer to prepared baking sheet and bake until lightly browned (25-30 minutes). Sprinkle with 1/2 cup of sugar mixed with 1 teaspoon cinnamon before baking if you want to make them sweet and spicy. 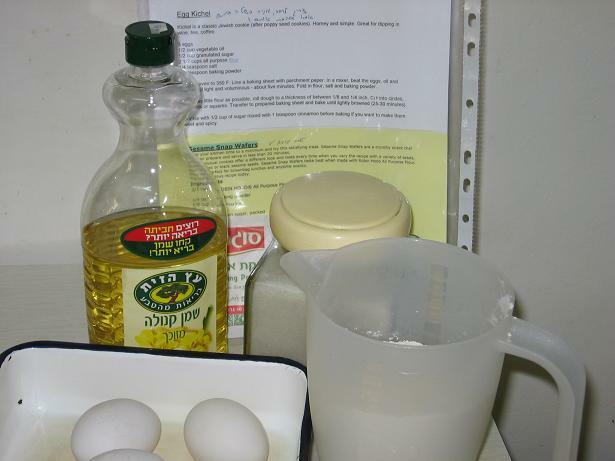 NOTES : Kichel is a classic Jewish cookie (after poppy seed cookies). Homey and simple. 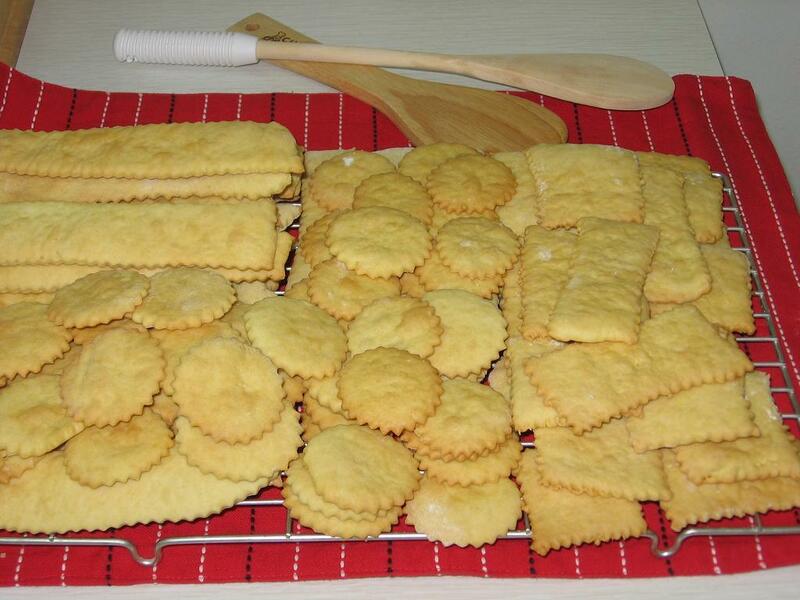 Great for dipping in wine, tea, coffee.